I’ve been using this pocket size Moleskine for some daily planning and reflecting. I’ve actually liked using it as a daily journal and it has inspired me to also begin daily journaling in my Travelers Notebook as well. I usually use it for work during the work week however, I may try to use it as an organizational tool once I finish using the pocket notebook. I’ve already purchased a medium size Moleskine and a larger one for specifically for work projects. 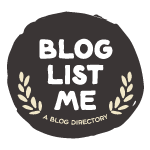 Now, the world of Bullet Journals is vast and a bit overwhelming, however I’ve really enjoyed watching how others setup theirs. I’m not sure if I can follow the true Bullet Journaling way but I’m figuring out a good mix. I really hope this will just be a way I can also practice my handwriting. I don’t like it very much and I would like to improve, perhaps even tackle some calligraphy or lettering. 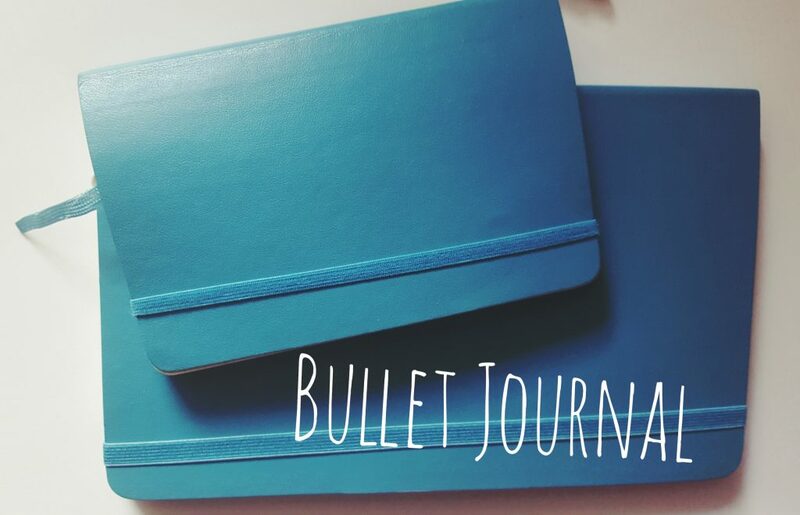 There’s so much to consider when starting a bullet journal, for instance the notebook you use. Obviously you can use any notebook you like, that’s the point. It’s supposed to be a way to easily organize your daily tasks and it’s much more fun when you get to personalize the notebook you are using. I decided on Moleskine. One because I already had one, and decided to keep on using it. I now have the same blueish teal color in the pocket, Medium and large notebooks. The large one is for work, the pocket is my personal one and then when I’m done with that one I will switch over to the medium size notebook. I’m ready for that! I decided to stick with the soft cover Moleskines. But the medium size one is dotted, which I prefer rather than ruled. I have just purchased some Tombow markers in pastel so I’m looking forward to learning some lettering techniques. I don’t know how good I’ll be at lettering but I want to practice it. Once I switch over I’ll share the way I want to start using it. For my work one, I’m using it to keep track of my projects and meeting notes. I want this to be a way for me to work on my penmanship in general. I hate my messy chicken scratch handwriting. Hopefully, I can train myself to be less sloppy. 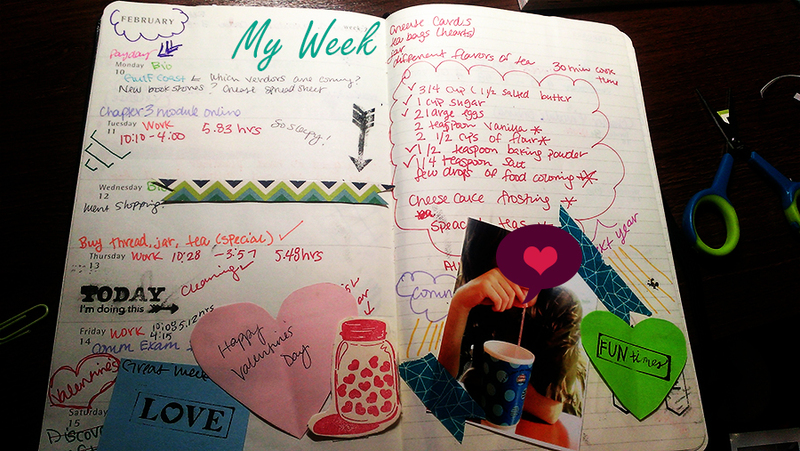 Do you like keeping a handwritten journal or is blogging much more your speed? 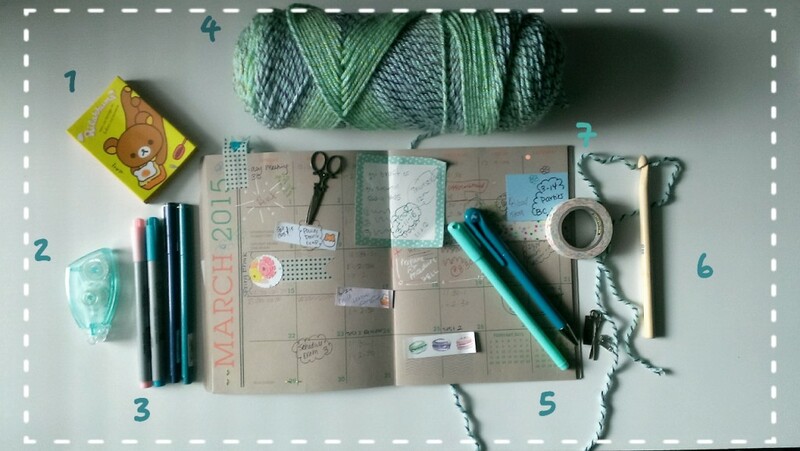 And if you’ve tried out Bullet Journaling, what sort of spreads do you enjoy? Here’s just a little planner video I made for this week, I switched the order around for some things but for the most part I stayed true to it. I have this whole vision on how I wish my videos could come out, but they never turn out that way. I still have a lot of fun with my amateur videos though. I don’t make as much time to film and edit though. I still want to upgrade my camera and laptop but those will have to wait. In this video I just wanted to show my Ink Joy Gel pens and the watercolor ish markers I used to decorate my weekly spread. I used to use stamps and stickers but I’m loving these leafy vines! I’ve been doodling them ALL over this place. Washi is still an obsession with me, I just thought I’d keep it simple. I think I might go with this style of planning for awhile. I’ve also been using a notebook to sort-of-bullet-journal a daily spread. I’ve been using it for the week and will finish up the pocket moleskine in June. I’ve already bought a new one to use when this one is done. I decided to get a larger notebook in the same color only with dotted lines. I also plan to give more pages for each day, leave space to journal more. But who knows, I might not need the extra space because it’s a larger scale notebook. I’ll touch base on the notebooks more next time. I have a list of pros and cons, as per usual. This may shock/bore you, if you are not interested in stationery, planners, or paper items in general. 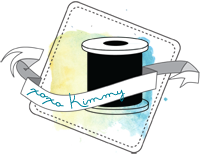 A new craft store opened up in Houston last summer. Needless to say, my sisters and I went a little crazy. 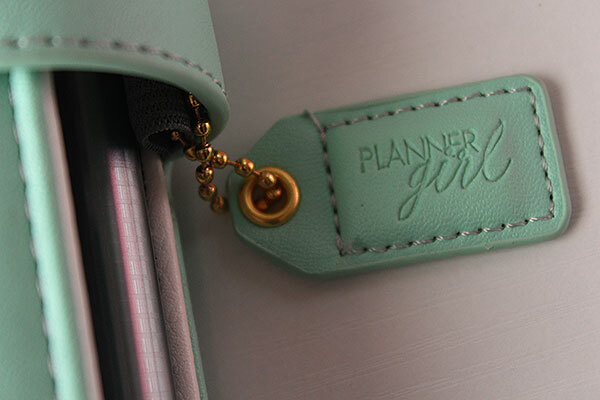 The planner craze is still going strong and I’m obsessed. I love to see how it is constantly changing. 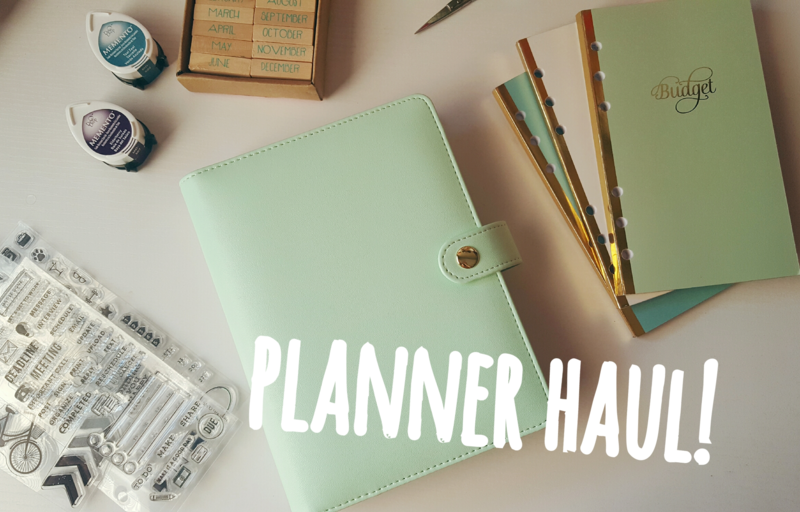 I’m going to share the things I bought from that lovely shop and then I’d like to talk about some items I’d like to purchase this year to add to my planner/stationery obsession. Webster’s Pages Traveler’s Notebook and A5 Planner in Mint! I love minty items. I can’t seem to get enough of them, I made the video above a while back but it still gives you an idea about how they look. There are pros and cons to everything but for the most part I love these items and will do an updated flipthrough soon so if you’re interested in seeing that, let me know. I’ve been wanting a small photo printer to print out my photos. I know, probably something else that could be considered a waste of money. But I’ve been wanting one. I keep looking at different brands, there’s the LG, HP, Polaroid, something Zip? So many different kinds and I can’t seem to pick one I want to save up for. I’ve been wanting to have hardcopies of photos and again, my printer doesn’t always work the way I want it to. I figured a portable printer might work out better. Any thoughts? This would be the most expensive. I don’t need it to be sooo fancy, since I’m still learning about photography, but I’d like to invest in a good camera and continue learning. Plus, I’d like to up my vlogging game with some new gear. This is also something I have no clue what kind I’d like. I’ve been researching but nothing concrete yet. If you have any tips or suggestions, I’m all ears. I don’t have a budget yet on the camera, I figured once I picked out the camera I wanted then I’d know what my aim is and then just start saving for it. Like the camera, I would like to up my gear…including the laptop I would use to edit the video. I don’t need it to be topnotch, but I would like it to handle a bit of gaming and then my amateur editing skills. My current laptop is an HP and it can’t handle certain programs. 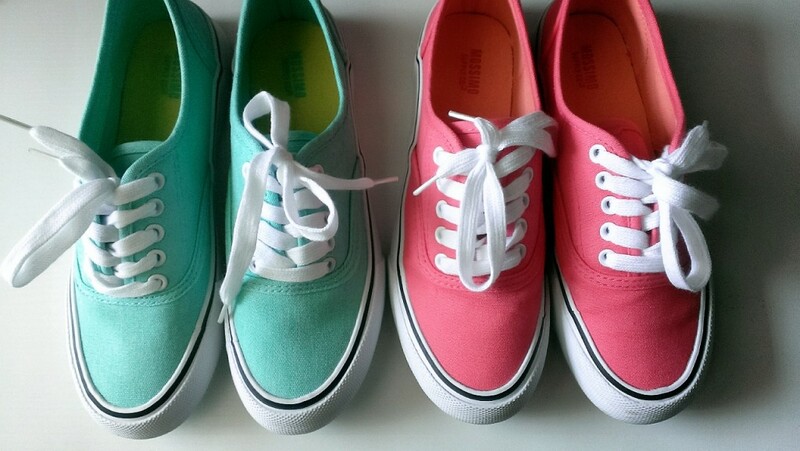 I would love for it to be a mint color! I’ve always wanted a green or mint computer/laptop. That might be asking for too much, but it’s just something I’d like. The smaller items I get fairly often but when it comes to the larger products, I tend to really put some thought into it before just going out and buying it. Do you usually weigh your options before buying a larger item, or do you just go for it? I’d love to hear your stories. Wanted to film a Plan with Me video for this week. I added just a few things that I knew I had to do but obviously if more things occur I plan as the week goes on. For the most part, work is the only thing I can really plan ahead since I know my work schedule by the end of the previous one. I have a few other videos planned for this week but didn’t think about it until after I filmed this video, so that’s why they aren’t there. Bare with me, I am terrible at planning out videos. After I had written out the few things I knew would happen this week, I decided to make the end of the video just a montage of some planner supplies. 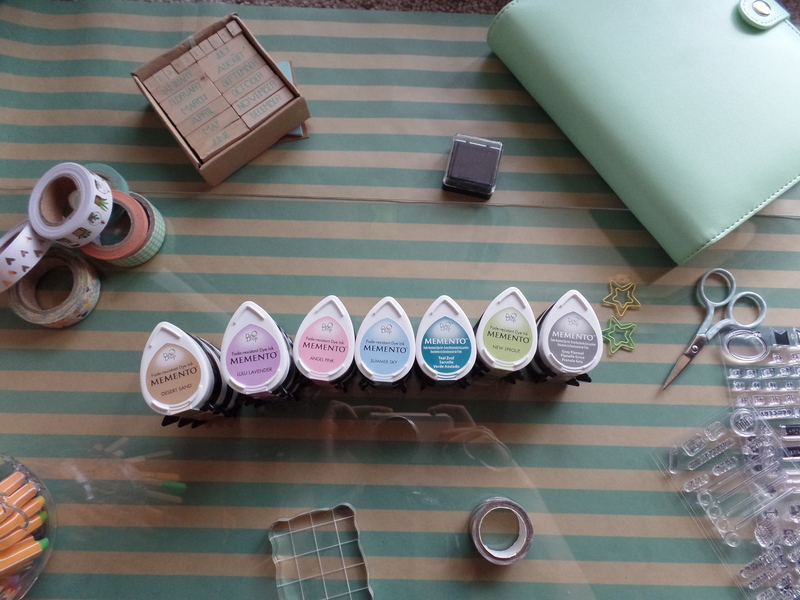 Mainly, these Memento Dew Drop inks that I have fallen in love with. I’m a sucker for colorful things, and these are perfect for stamping my planner pages. 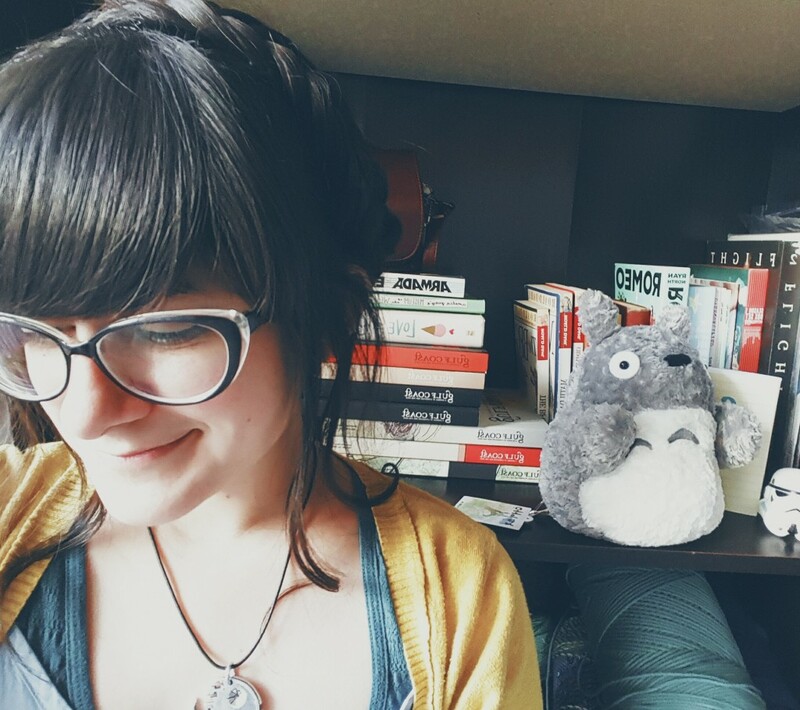 Anyway, I’ve been thinking of some other videos to film and upload so stay tuned for some book and non-book related videos! You know that feeling you get when you come to the realization that you are now an adult? I , still being in school and partially dependent on my parents, have felt the cusp of this realization. I am doing my best to finish school. I know that when I do finally finish I will probably miss being in school. But the current me is ready to be done. I want to move on/up in life. I know I won’t get there by skipping parts, and I’m not trying to skip anything I just wish I was was more prepared at this point. I had a little health scare a couple weeks back and now I have to go to a GI and have samples taken, meaning needles will be involved. -.- Today I had to get blood drawn and needles and I do not get along. I exaggerated the pain a bit in my head so I’ve been dreading it for the past two weeks. It didn’t hurt at all. My arm feels a bit funny now, but I’m just glad it’s done. Now to get passed the procedure next week. T-T More worrying. I’ll keep you updated on the results. Now on to happy things! I’ve picked up a few goodies in the past few weeks. >.< I couldn’t help myself, so I wanted to share with you the things I’ve bought to distract myself and about the moments that have made me smile. I had myself a wonderful Valentine weekend and I hope yours was just as wonderful. I seem to be filling my planner with more things than just my weekly plans. This is how this past week turned out, with Friday being Valentine’s I had a busy weekend. First off, I worked on Friday so I had to rush home and shower so I could be ready for The Boyfriend. We just stayed in and watched movies and ate sweets. For Valentine’s I made him heart shaped teabags, because he’s a tea fanatic. I also gave him a bike necklace that I bought at Houston Mini Pop Shop. I’ll post about that sometime soon. And once again, I’m respecting his wishes to not be uploaded to the internet. So his face remains covered. Saturday we met up and went out to eat, we went off in search of discount candy. He bought me some washi tape and scrapbook paper, he’s adorable. We also went bike riding on our quest for cheap candy. He bought me peanut m&m’s, which are my favorite. I made him watch the romantic comedy About Time, an adorable movie btw. I love that he humors me and watches all these girlie movies but I promised him the next time we will watch a thriller or an action movie. XD This is the first time I’ve ever been in a relationship on Valentine’s and it was nice but I’ve always thought the holiday was nice. I don’t think there should just be one day devoted to showing how much you love someone. Family, friends…ect. You should try to show that love every day in some way, it doesn’t have to be in some extravagant way but something as simple as a phone call or a letter can make someone feel good. But I really wanted to take part in the cheesy aspect of this holiday. So instead of giving sweets I went with the heart tea bags. I love crafting, so I picked out different types of teas and deconstructed them and created heart shape bags for the tea leaves. When I gave it to him, he was surprised and seemed to have really liked it. He wanted a cup of tea right then and there. He loves handmade gifts…at least that’s what he’s told me. 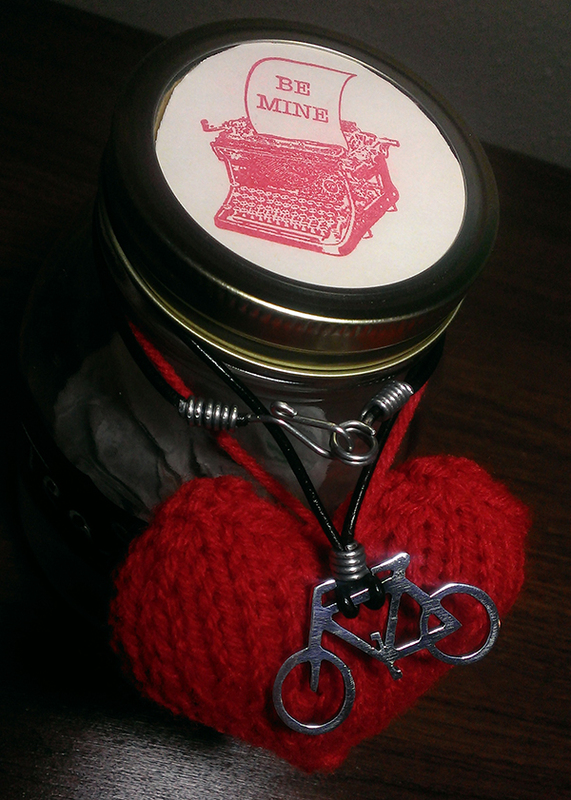 >.< I also knitted him a heart, because frankly I adore knitting them and it was the perfect decoration for the jar. The necklace was made by an artist I met at Houston Mini Pop Shop. Again, I will mention more about that event in my next post. But just know he is amazing! 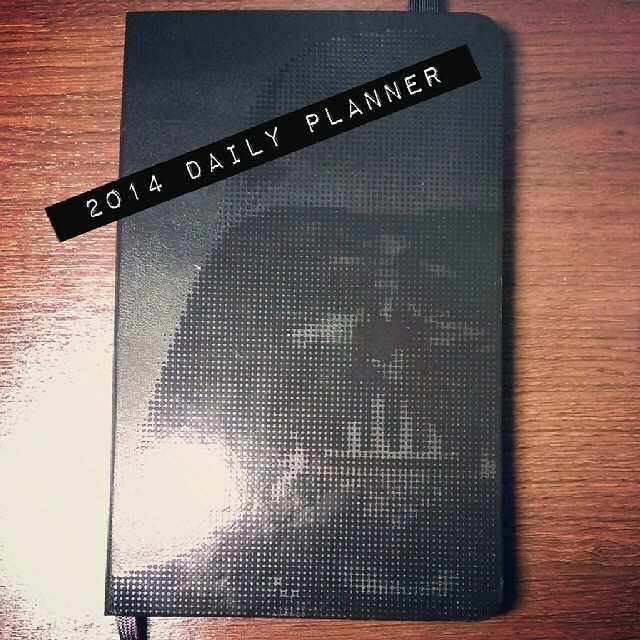 I recently purchased a planner for 2014 as an attempt to be more organized. I mean, I don’t usually have trouble remembering deadlines or anything and I just used the calendar on my cell to remind me. But this year I wanted to return to having a written planner. And I found the best one ever! It’s a moleskine planner with Vader on the cover. It was the only one at Barnes&Noble so I took it as fate. This other picture is after we went to see the movie Her, it was a cold night and he was a gentleman and gave me his extra jacket to wear under my coat. I forgot to return it to him before we parted ways that night so I held it hostage until the next time we saw each other. 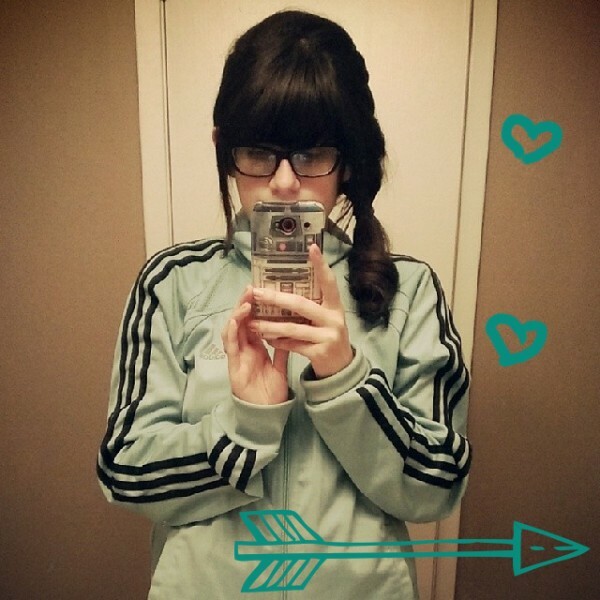 Super comfy jacket, may have even slept in it. >.< Anyway, so I had a great weekend, ended it with a family dinner. Kat and I don’t get to see our parent’s/the weirdos too often so when we do it’s always nice. So do you just use your cell calendar to keep yourself organized, or do you prefer actually using a planner? 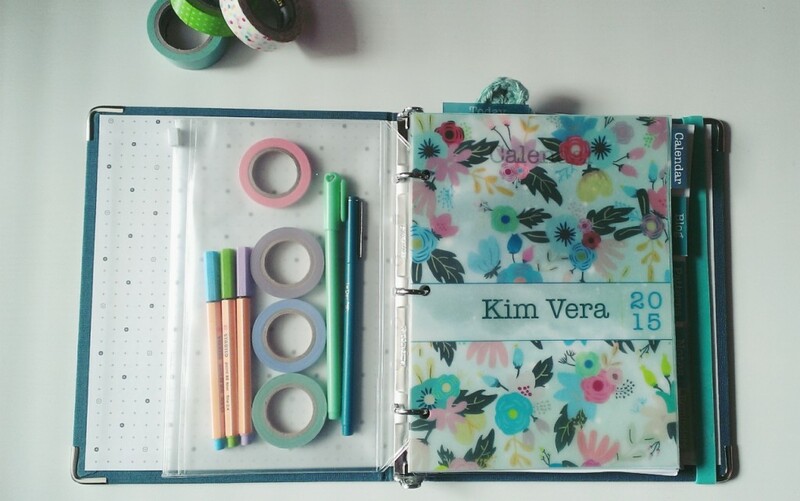 If you do, then do you have a particular planner layout you like, or am I the only one who is picky? XD That’s it for now, I’ll update again soon.